Only one fraternity can say five of its brothers have been, or are, President of the United States – Deke. 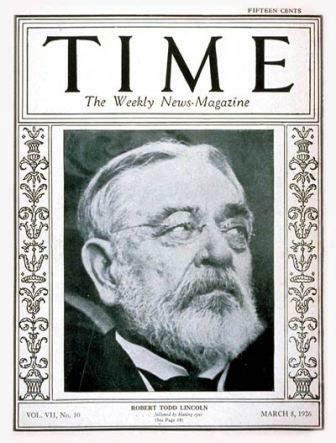 And only one Deke has been able to say his father lived in the White House while he lived in the Deke House – Robert Todd Lincoln. In reality, there was no Deke House on campus in the fall of 1860 when Lincoln matriculated at Harvard. But DKE’s Alpha chapter pledged Lincoln soon after his father pledged to do all he could to unify the United States when he assumed office March 4, 1861. 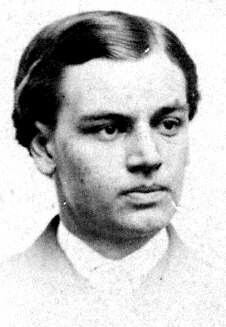 The oldest son of Abraham and Mary Todd Lincoln’s four sons, Robert was born in Springfield, Illinois, on April 1, 1843. He was named for his grandfather – Mary Todd Lincoln’s father, Robert Todd – and he was the only one of the First Couple’s children to live to adulthood. When Robert was only three years old, the future president said “Bob is short and low and, I expect, always will be.” Like the Todd’s, his mother’s family, he was of a stocky build and never had the long-boned features of the Lincolns. In February 1850 when Robert was seven years old, his younger brother Edward, who was three, died of diphtheria. Robert and Eddie had been close, and the loss of his brother when Robert was only seven had a profound effect on him. Another brother, Willie, was born in 1850 – 11 months after the death of Eddie. The age difference with Willie prevented him and Robert from being close as youngsters. Robert’s youngest brother, Tad, was born in 1853, named for the president’s father, Thomas Lincoln, who died two years before in 1851. By the time Robert was 16, his father was a prominent attorney and already a national political figure based on his reputation in the Lincoln-Douglas debates. Family finances were good enough to send Robert to Phillips Exeter Academy in Exeter, New Hampshire. His father was the Republican nominee for President when Robert was accepted at Harvard College to join the Class of 1864. At Harvard, Robert studied the standard curriculum of his time as there were no college “majors” then, taking classes in botany, chemistry, composition, declamations, elocution, forensics, Greek, history, mathematics, philosophy, physics, political economy, religion, rhetoric, and themes. He pledged DKE, and Deke lore includes a story that Robert wrote his father for permission to join the fraternity and that his father sent his agreement back to Harvard in a letter. It appears, however, that DKE does not have this letter. 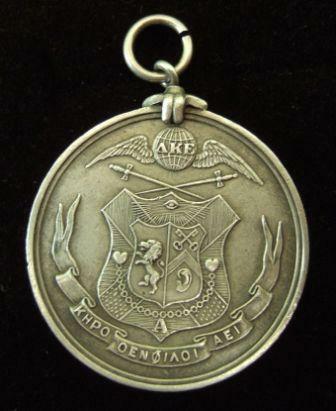 medallion belonging to an Alpha Deke in Harvard's Class of 1908.
the heavy demands of his position, did not visit his son at Harvard; instead, Robert saw his family during school vacations in Washington and other locations. His mother visited him in Boston. After a vacation, Robert returned to campus in September to attend Harvard Law School. The school was not highly regarded at the time, and it is not known if its perceived shortcomings affected Robert’s decision to drop out. During his brief stay, Robert argued moot court cases with students like Oliver Wendell Holmes, Jr., the Civil War veteran and future U.S. Supreme Court justice. More than 1,500 Harvard students and alumni enlisted in military service: 1,311 with the Union forces and 257 with the Confederate. After peace came in 1865, alumni raised $370,000 – an enormous sum for the times – to memorialize the 136 Harvard men who died in the Union cause. Robert was one of the contributors to the building in 1866. The president and his son never closed the gap in their relationship. In later years, Robert described the two as distant. But on Friday, April 14, 1865, 142 years ago this week, Robert was at the White House. He had breakfast with his father on that day, the day President Lincoln was later shot in Ford’s Theatre. That evening Robert was in his room at the White House when news that his father had been shot reached him. He rushed to the Petersen House across 10th Street from the theater and spent the night at his father’s bedside, comforting his mother. The end came at 7:22 a.m. on April 15, 1865. Robert spent most of the next several weeks at the White House attempting to console his mother and younger brother, Tad. Throughout the weeks that followed, Robert had to assume the lead role for the family in his father’s funeral - since his mother was devastated by the assassination. Presidential aide Edward Duffield Neil later wrote of Robert that “his manly bearing on that trying occasion made me feel that he was a worthy son of a worthy father.” After Lincoln's funeral, Robert, Mary and Tad boarded a train to Chicago. Chicago Law School (not the same University of Chicago that exists today) and was admitted to the Illinois Bar in 1867. In 1868, he married Mary Eunice Harlan and the couple had two daughters, Mary and Jesse, and one son, Abraham Lincoln II or “Jack” who died in London in 1890 at age 17. In 1887, Jack had the honor of unveiling the statue of his famous grandfather in Lincoln Park in Chicago that was made by the famous sculptor Augustus St. Gaudens. A few months before the Great Chicago Fire of October 1871, Robert’s home in Chicago was the scene of another sad Lincoln funeral. His only remaining brother Tad had died at the age of 18, likely from tuberculosis. Tad had recently returned to America from Europe where he had been touring with his mother. Robert was a successful corporate attorney during the rebuilding of Chicago in the years after the fire. He went back to Washington in 1881 when President James Garfield asked him to serve as Secretary of War. When Garfield was assassinated, Lincoln stayed on to the end of the term of President Chester Arthur. He went back to Chicago for four years and then President Benjamin Harrison asked him to serve as the U.S. Minister to England, also known as Ambassador to the Court of St. James, from 1889 to 1893. 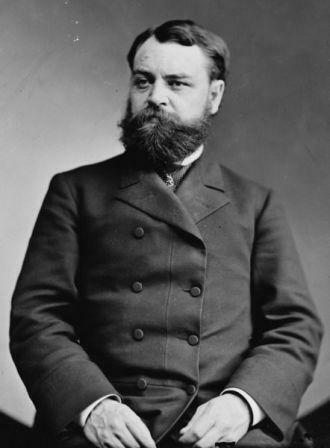 Robert often was mentioned as a candidate for President or Vice President at the Republican National Conventions of 1884 to 1892, but he never sought nomination for either position. For reasons that aren’t explained, at some point during his adult life he was made a member of Delta Chi Fraternity. By the time Robert was 55 years old he had become counsel to the Pullman Palace Car company. Pullman was then building the best railroad passenger cars, sleeper cars, and dining cars in the country. Robert became acting president of the company in 1897 when George Pullman died. And he was elected president in his own right in 1901. Washington at the dedication of the Lincoln Memorial, May 30, 1922. Chairman of the Board until 1922.
months before his death at age 83. 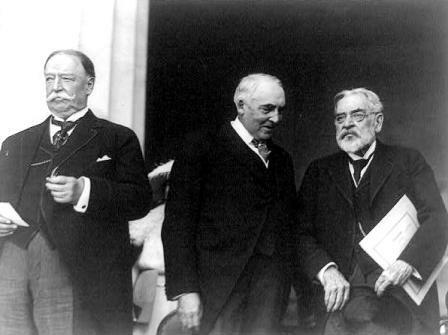 Warren Harding, Chief Justice William Howard Taft and more than 50,000 people at the dedication of the Lincoln Memorial. Robert was at Hildene on July 25, 1926 when he suffered a cerebral hemorrhage and died at the age of 83. His wife, Mary Harlan Lincoln, lived on until 1937. They are both buried at Arlington National Cemetery. Hildene remained in the Lincoln family until 1975. In 1984, President Lincoln’s last descendant, his great grandson Robert Todd Lincoln Beckwith, died in New Hampshire on Christmas Day. But before he died he made sure that many family artifacts from President Lincoln and his grandfather Robert Todd Lincoln were given to the Chicago Historical Society and the Illinois Historical Society. 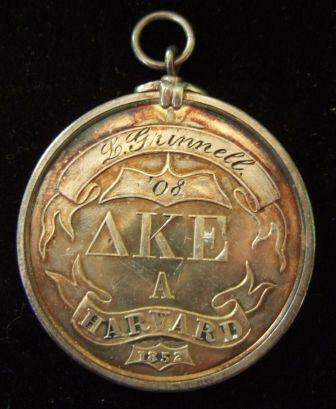 Harvard Dekes received a two-sided engraved DKE medal instead of a DKE pin. Robert’s DKE medallion is not part of the collection of either historical society.